Hard tack candy is made from flavored sugar. 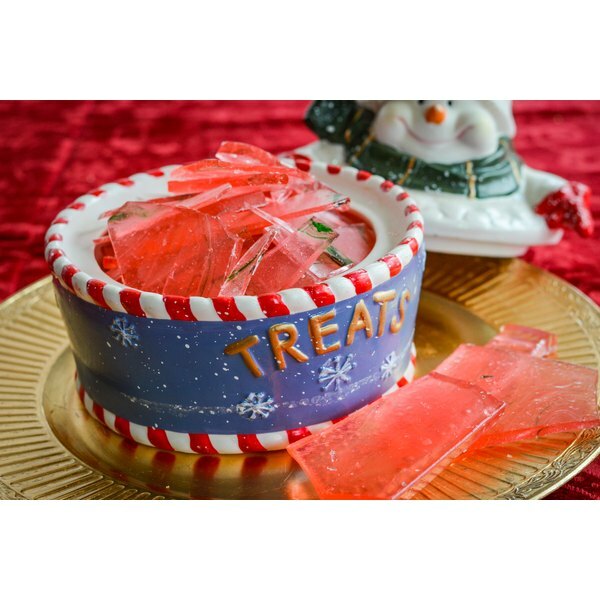 Traditionally, these candies are made over the festive season, flavored with cinnamon and wintergreen and colored red or green to fit the Christmas theme. 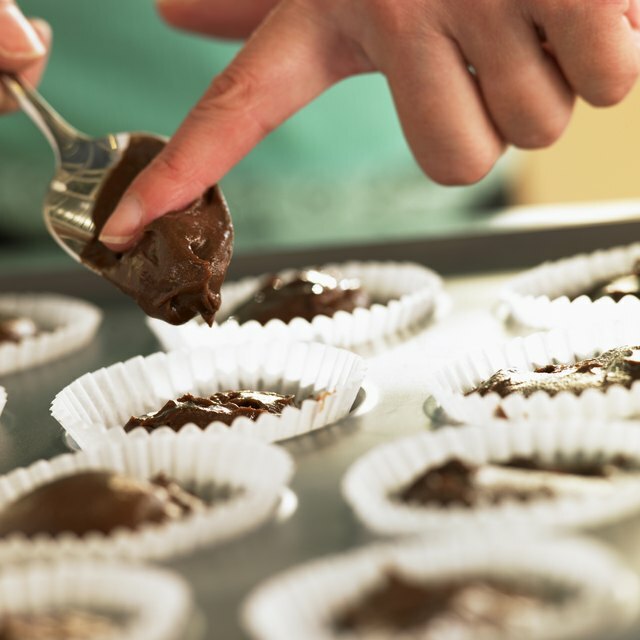 You can choose to make candy any time of the year and use any flavoring that suits you. Hard tack candy makes a great gift or a fun cooking activity with children (make sure they are supervised). The trick is getting the sugar to the right temperature, but once you do, it's really easy. Butter the cookie sheet and set aside. Make sure you butter the sides too. Place 1 cup water in the pot and bring to a boil. Mix in 3 1/2 cups of sugar and a cup of corn syrup using the metal spoon. Mix the ingredients until the sugar has melted. Allow the mixture to heat without stirring until it reaches 300 F. Use the sugar thermometer to measure the temperature. If you do not have a sugar thermometer, determine when the candy is at the "hard crack" phase. When the temperature reaches 300 F, remove the pot from the stove immediately. The mixture should be syrupy in consistency. Mix in the food coloring and flavoring using the metal spoon. Mix it well and quickly, as the candy will start to set as it cools. Pour the mixture onto the greased cookie sheet and allow to cool. Break the candy into pieces. If you are careful, you can roll the candy into "snakes" when it is still hot and pliable. Cut it into bite-size pieces with candy shears. Coat with dusting sugar if desired. Place candy and dusting sugar into a bag and shake gently. Store the candy in a tin or bottle. If you don't have a sugar thermometer, you can check that the sugar has reached the "hard crack" stage with a simple test. Drop a pea-sized amount of the molten sugar into a glass of cold water. Allow it to cool to prevent scalding. Remove the cooled sugar. It should be hard and brittle. It will break if you bend it. If it bends before breaking, you need to increase the temperature a little. Melted sugar is very hot; use caution when handling it. Make sure that children are supervised at all times. Never leave the candy on the stove unattended. What Can You Substitute for Corned Beef in a Reuben Sandwich?